Cheltenham Festival 2019 comes to a thrilling conclusion on Friday 15 March with Gold Cup day. Thursday was an incredible day right here, which saw the winner in the opener added to with a few “hit crossbar” seconds at very long prices, before the incredible 50/1 success of Eglantine Du Seuil consolidated this week into a clear and unassailable profit. Friday’s card is tough, but there’s some really good potential available. The soft side of good going, and expected showers, could make all the difference though, as there are some very fine margins here. Also, this year’s Gold Cup is a mouthwatering prospect, with a lot of very classy horses, all coming here in some kind of form. A day to enjoy with a scattering of small stakes each-way efforts for us – and one big NAP. HANNON is a really interesting prospect at a whopping 50/1 in the morning. This one was collared at Naas last time out in a very impressive time, by an older horse (Gordon Elliot’s Chosen Mate) which could be a serious animal. With that experience under the belt, this one could be a very live outsider here. QUEL DESTIN goes for Paul Nicholls, and has a little more experience than many of these. Consistently good, but potentially could be outdone by a less exposed rival – not least the second string PIC D’ORHY which has only run in France, but apparently is highly regarded – clearly – to be dropped in the UK scene at this mighty level. Look for extra places about those selections if you can get them – for each-way – and also consider ADJALI and PENTLAND HILLS for similar at long-ish prices. The latter has put down a good marker in the only on-course display, and could improve. Another which falls into that category, from dangerous connections is Willie Mullins’ RUNRIZED, not named above, but at 66/1, looks an excellent “extra places” prospect for wise connections. MAGIC DANCER at 33/1 for Kerry Lee and Richard Patrick looks like a decent chance for some each-way extra places money, and has sufficient talent to lift this with a performance up to the best we’ve seen on course. HIGH EXPECTATIONS is a Gordon Elliott / Denis O’Regan chance which is better than the market’s 40/1 suggests. The other two selections fall into a similar bracket – each-way opportunities in a very competitive event. Mullins-Mullins on the apparent third or fourth string, INVITATION ONLY for extra places each way at an overnight 40/1 is the shout here. This one was outstanding at Gowran Park last time out, showing much improved form. Mullins tends to peak his horses at Cheltenham, so if that one is repeated – or surpassed – today, we could well see a very long priced new Gold Cup winner. Patrick Mullins can ride this course well, too. A threat at a long price. However, all four selections are recommended for extra places each-way in a wide open Gold Cup. This is an incredibly deep race here. We also really liked KEMBOY’s last run, THISTLECRACK looked back up to close to his best on Boxing Day too. CLAN DES OBEAUX has obvious talent, and PRESENTING PERCY would not be a surprise either. This race is one of the better renewals we can remember, and we make no apology for finding it hard to split them here. There’s very little between them. Much will depend on who puts in a performance, and jumps the best. There are probably only three in this race we would discount. 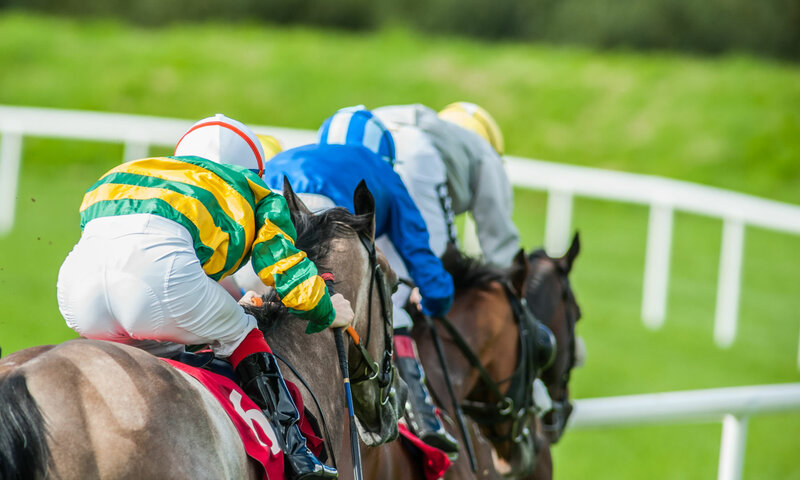 As a consequence, this is not a race to go wild about – a selection of small stakes each-way efforts could see a big-priced winner, or at least a place profit from watching a great race. Exciting prospect. This could be the one which gets Gordon Elliott back on track. Ucello Conti has something in hand on this field for us, though 9/2 in a 24 horse race is about fair. JJ Codd on board is already on the board at the Festival, but, importantly, has the nouse to get round this big field of Amateurs and be there when it counts. If standing up, could be a different class to most of these. Likely favourite Stand Up and Fight got beaten at short odds in a PTP last time out, where a mistake proved costly. No mistakes will be forgiven at Cheltenham. Hazel Hill could be a threat today though. It’s more each-way plays here, in a wide-open chase handicap. This is perhaps the hardest race of the week on our ratings to call in advance. *We need the ground to dry out for Mr Antolini, and that does not look like happening. If the rain stays away, this would be a stronger choice, but the Good to Soft already looks a bit too soft side. The other selections are also solid each-way prospects too. Good luck if you are going racing today.